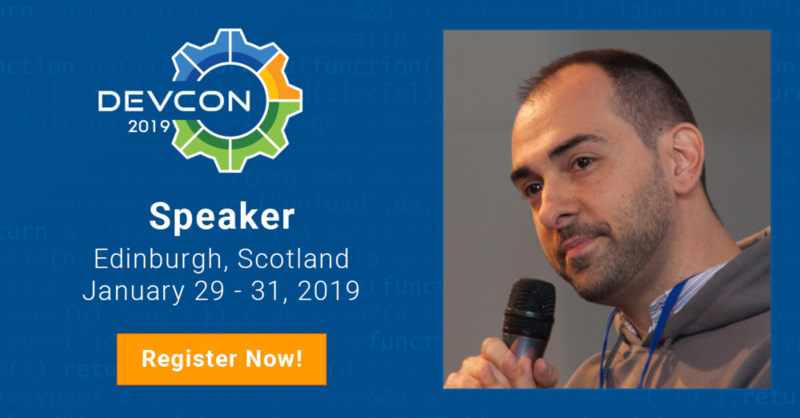 Two weeks ago I joined Alfresco DevCon 2019 in Edinburgh together with more than 300 Alfresco community members. It was a very good opportunity to meet some good and old friends around the world, exchange opinions and contributions, give the usual training courses and try to share a potential adoption of international standards among Alfresco experts. A huge amount of contents were included in this edition and I have to confess that the sessions was absolutely amazing. It was very nice to chat with some old friends around the world and I would like to thank some of the Order Of The Bee members for bringing new energy and outstanding sessions at this conference: Angel Borroy, Jeff Potts, Bindu Wavell, Axel Faust, Boriss Mejiass. Other great contributions were done by Alfresco from a lot of people such as: Francesco Corti, Eugenio Romano, Mario Romano, Mauricio Salatino, Toni De La Fuente and many others. 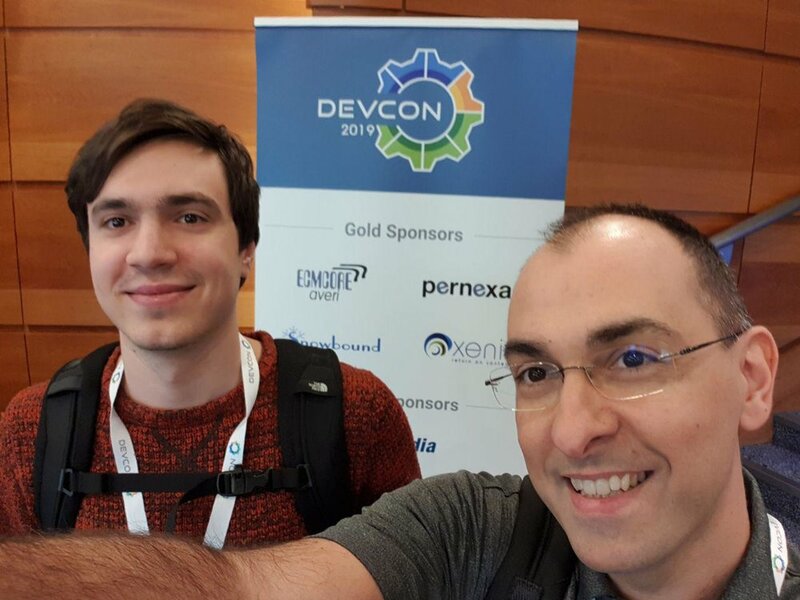 Every year during the Day 0 of the Alfresco DevCon I collaborate on building and deliver the Introduction to Alfresco course, this course is dedicated to new members of the Alfresco Community that want to increase their skills on the platform vision. It was an amazing challenge because in just one day, we cover the entire Alfresco Digital Business Platform: starting from Content Services and Process Services, passing from Governance Services, Docker and ADF. This course is arranged by ECMCoreAveri and I was involved with Shoeb Sarguroh, Oliver Laabs and Sabine Esser to deliver in the best possible way all the material updated for this event. This was possible thanks to a solid partnership between TAI Solutions and ECMCoreAveri bringing fresh new contents in terms of training material. The class was full and we had the pleasure to teach to very interested attendees, they wanted to understand better each Alfresco component trying to think about how to use and integrate it for their needs. The Alfresco Platform now includes many components and considering the high number of ways used to solve a specific problem, it could be very hard to anyone without experience to choose the best adoption path, or simply understand if a component should be extended or just configured. We received a lot of questions, also after the training sessions during the conference and we received a very good feedback. We appreciate a lot this and we hope to keep high the quality of our training courses in the future, thank you very much! After the training day we proposed a quiz to attendees where for each question they earn points and during the last day of the conference we arranged an Alfresco Training Awards where three winners received a prize! I would like to thank ECMCoreAveri for inviting me every year in this awesome challenge and for giving me the opportunity to contribute on the latest version of the training material for the entire Alfresco Platform. Another great point for me was related to introduce in just 5 minutes (lightning talk) a very complex topic: the ECM Program Strategy. We live in a world totally dominated by information and every time there is a ECM project to build from scratch, we could have the same issues on trying to give a complete shape of the overall project. Sometimes it is just impossible to do it in one time and a good approach could be consider only the initial constraints related to the entire company (horizontally) and then go forward iterating vertically on specific needs. The ECM Program Strategy is a set of best practices initially provided by AIIM that helps you on defining your own ECM Strategy. This can be done building a set of documents where you collect the strategic informations of your own project in terms of core business vision, metrics and KPIs. The ECM toolkit is based on International Standards (ISO) written by ECM experts all over the world. The main goal here is to avoid the same typical issue that statistically appear in any new ECM project. Consider that the problems in this type of projects rarely depends on technology but the main issue is related to misunderstanding among people, requirements and expectations. This typically helps on defining which parts of your project should be set with a higher priority and which results we are expecting for the next development sprint. Without a wide vision of what this project will solve, it’s impossible to understand the overall benefit in terms of economics and platform adoption. In order to facilitate attendees on learning how to extend Alfresco Process Services Platform, I have implemented and shared on my GitHub account a standard Maven module that allows developers to use all the available Java services. APS includes new specific services dedicated to add, for example, MultiTenancy and Identity Management capabilities on top of Activiti BPM Engine. This means that some Activiti services are currently disabled, considering the IdentityService, you have some alternatives to learn in APS, in this case for example we have two different services: UserService and GroupService. This Maven module will help any developer to extend APS with specific REST APIs and so on, the main issue that we currently have is related to the lack of a supported Alfresco SDK for APS. Included in this module you will find a standard 4 eyes principle workflow application with its own unit test implemented in the test source folder. Thanks to Francesco Corti for this photo. Thanks to Angel Borroy for this photo.